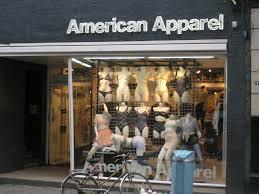 American Apparel Hires First Female CEO: Can She Turn Things Around? American Apparel’s ex-CEO Dov Charney was known for salacious controversial ads and sexual harassment in the workplace lawsuits, but it appears the company is ready for change as they announce their new CEO Paula Schneider. Schneider is set to ring in the new year and take the reigns at the clothing company January 5th. Fortune reports about American Apparel’s move to hire their first female CEO and what may be ahead for the company that has often been associated with the dark past of their ex-CEO. Perhaps one of the most alluring aspect of new CEO Schnieder’s background is that it’s practically squeaky clean, with no stories fit for a tabloid like Charney she will be taking over the position ready to do the job. 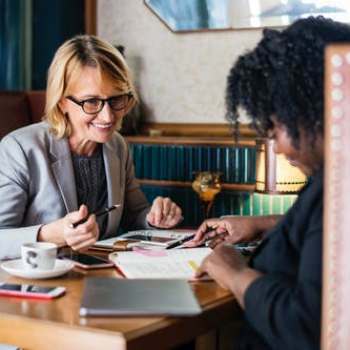 Schneider also has a pretty solid background committed to women’s causes and even winning the 2010 Inspiration Award from the National Association of Women’s Business Owners. She is also known as one of the top fundraisers for Avon’s Walk for Breast Cancer. Schneider recently explained in a press release why she respects American Apparel as a brand and how she plans to make it an even better company. She says, “American Apparel has a unique and incredible story, and it’s exciting to become part of such an iconic brand. My goal is to make American Apparel a better company, while staying true to its core values of quality and creativity and preserving its sweatshop-free, Made in USA manufacturing philosophy.” Schneider has her work cut out for her to make people forget about Charney’s exploits and bring the company back from their recently reported $19.2 million loss in the third quarter of 2014. What do you think of Paula Schneider becoming the new CEO of American Apparel? Do you think she can help the clothing company get back on it’s feet? Well I applaud a woman CEO. We have broken the barriers that have been placed on us for decades. The fact that she is also a top Fundraiser for one of the worlds well known Campaigns, It says something about her ability to get things done. She obviously cares about women's issues and will be sensitive towards us and our feelings. I think she will bring a bit of class to the company. I wouldn't doubt her capabilities for the job.